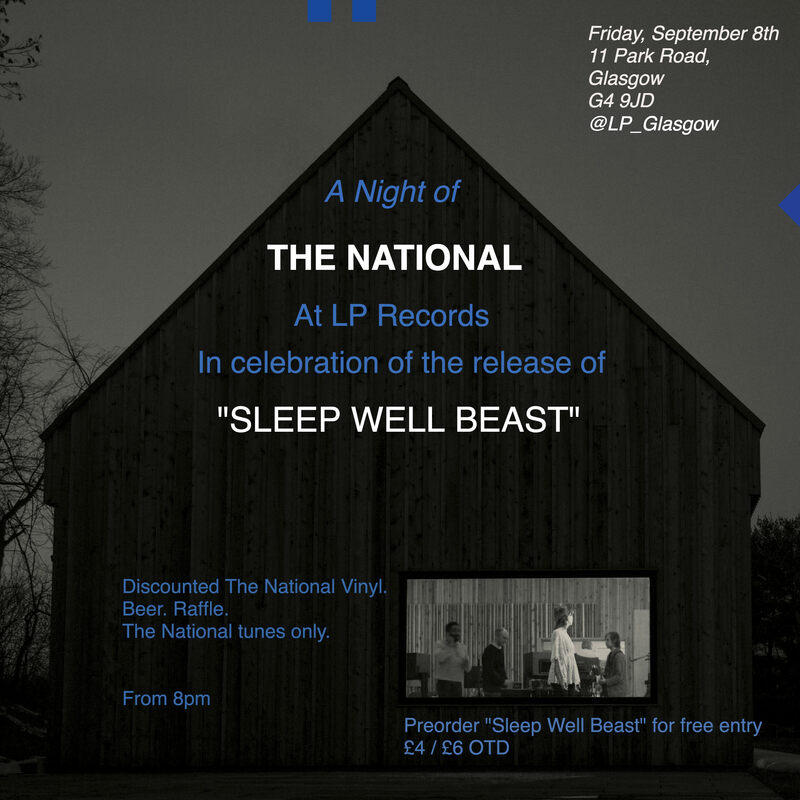 One of LP's favourite bands of all time, "The National" are releasing their much anticipated new album "Sleep Well Beast" on September 8th and we're always stocked up with The National vinyl, so we've decided to host a party celebrating this amazing band and this brilliant new record. The new record Sleep Well Beast available on 2xLP INDIES ONLY BLUE vinyl. Discounts on The National vinyl. 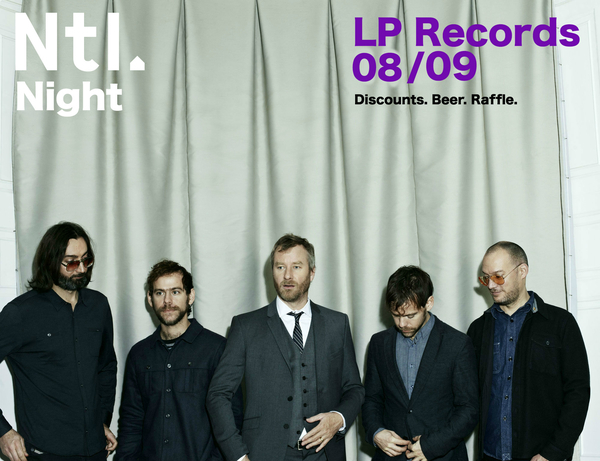 We've had some brilliant fun with album launch nights in the past so do come along and join us. All very casual, all very fun and we offer a bunch of discounts on the night you won't see during the day. Pre-order the record here and get free entry, otherwise there's an advance ticket and otd price to cover the cleanup/staff etc.